Perfect use of image with the sentiment! GREAT layering and details! Thanks so much for playing Simon Says Stamp Wednesday “Furry Friends” Challenge! Beautiful colors and design. Well done! Haha He's just eyeing up the cake! Lots of fun Bunny. Very cute - love those little paw prints! Cute creation Bunny. Great image and sentiment. Love the patterned paper you used. Thanks for playing along with out Anything Goes Challenge at Lil' Patch of Crafty Friends. Hope to see you again. Good Luck. Beautiful layout and image Bunny! Love the color on the dog. Have a lovely day. Bunny this is so wonderfully crafted. 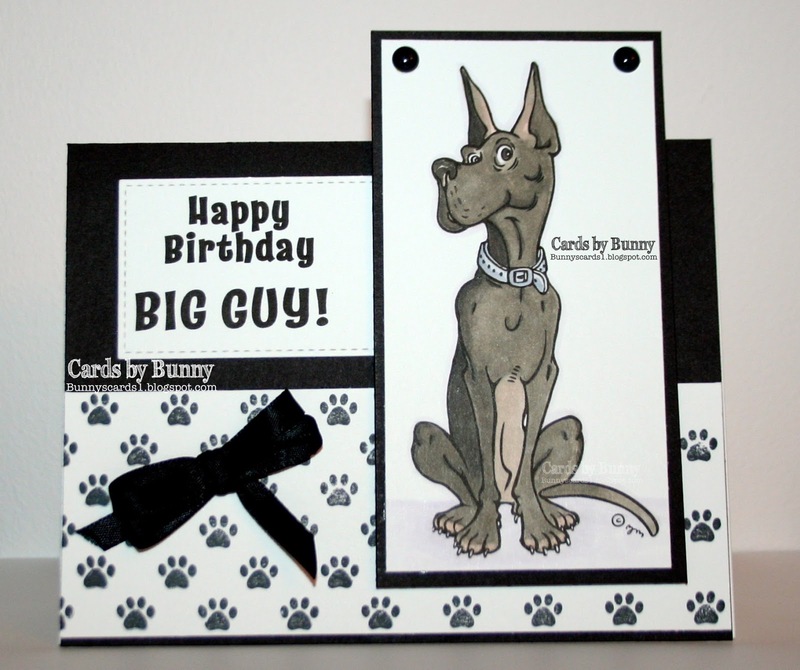 Bunny, what a fabulous fun card from the sweet dog to the paw paper, just the cutest! !